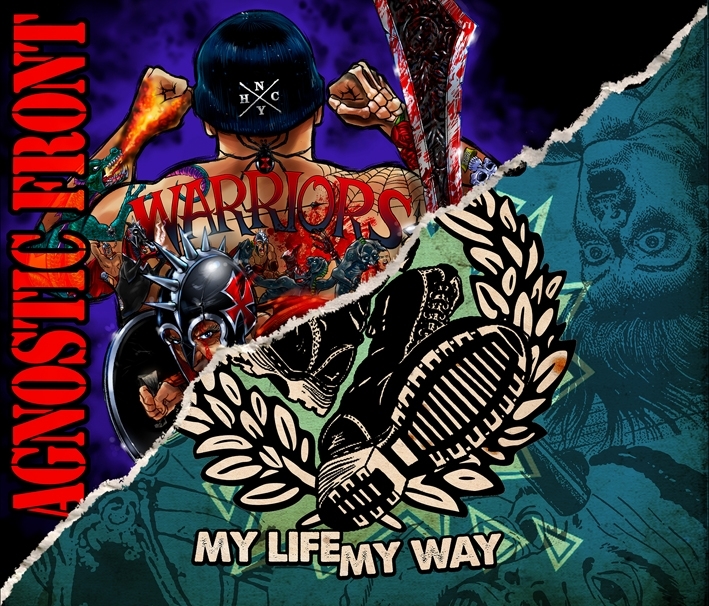 More reissues from the guys at Nuclear Blast, this time we’re treated to 2 albums from NYHC stalwarts Agnostic Front. First up is Warriors. Originally released in 2007 and produced by Roger’s younger brother Freddie Cricien of Madball Warriors heralded the debut of new drummer Pokey Mo of Leeway fame. 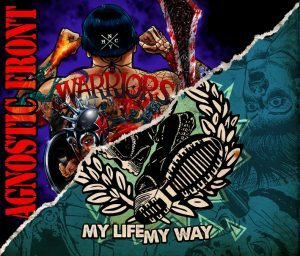 Carrying on with the “crossover” style they rediscovered on Another Voice Warriors while not a classic, it is an enjoyable slab of NYHC. Roger barks and spits his way through track after track with the anger and enthusiasm of man half his age, while Stigma’s signature riffing and soloing prevail throughout. Fans of Hatebreed and the like will lap this up, I’m not sure about old school A.F fans though, but tracks like For My Family and We Want the Truth are mosh pit gold.